My First Soweto Marathon Experience: Heat & Hills Defeated! On Sunday, 5 November 2017, I lined up for my first Soweto marathon after yet another anxiety-filled sleepless night. I accepted the challenge somewhat confidently, knowing very well that I had my secret weapon, coach Madoko, in my left pocket, and the wonderful Wonderpark Athletic Club in the right pocket. Ahead of me was finish line! Preparing for the race was no easy task, I struggled with a major groin injury after running the Comrades Marathon. The injury played on my mind consistently but somehow, painfully, I needed to keep moving in order to be ready in time for race day. Slowly with courage, I decided to join the now famous Coach Madoko Training Camp, doing only 30km of the required 60km on weekends. 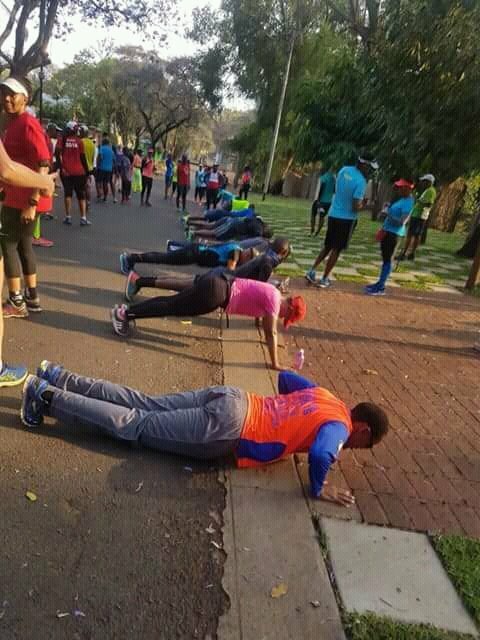 Runners from the North of Pretoria love it. 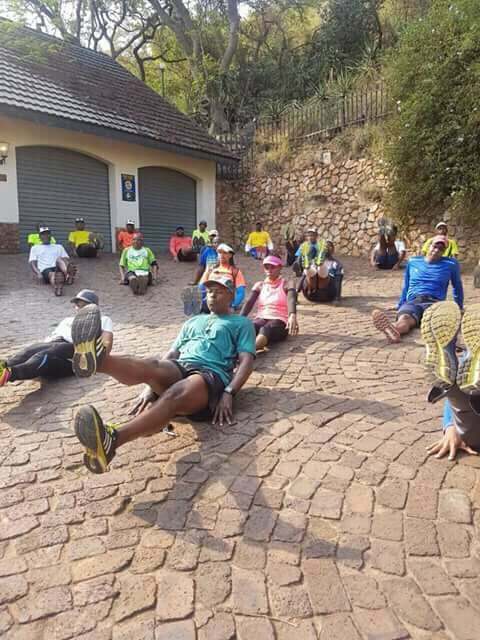 Occasionally guest runners from as far as Johannesburg and the East of Pretoria also come for training. The vibe, team spirit and the route are always awesome. Families generally join in the fun by providing water points and food stops for the runners. Don’t be fooled however, this crew is no walk in the park, Coach Madoko can be unplayable! Fast forward and race day was suddenly upon me. Like all runners, I nervously went to my starting batch and stood upright in the crowd, like a squashed sardine. Somehow we kept shuffling forward, and slowly moved past gate B. I was waiting for a bang or a crow sound, gosh I would have taken the sound of a dog barking, but alas the start was sounded by a tired old kwaito song – quite uninspiring… And so the race began, I started my watch and off I ran to tackle one of the most iconic races in South Africa. By the 3km mark, I found myself running a step in front of the sub 4H20 bus. Great, I was going well so far – granted it was just 3km in. It was a noisy bus, with whistles, happiness and plenty of songs – it was easy to get into the groove with them. I didn’t go into the day with a specific time goal in mind, I was just there to finish. I ran for about 2 kilometres with this boisterous lot, hoping it would pick up speed and eventually pass me. 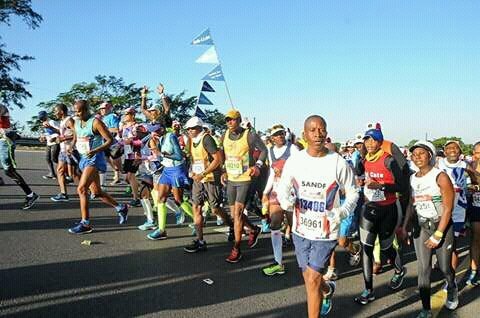 As the bus driver was telling us to slow down a bit in order to run together, a word of wisdom came from my friend Theo, ‘Bra Kenny, once you get tired, it doesn’t matter whether you slowed down to accommodate them or not, they will pass you and finish at 4H20 without you’. That lit a small fire in me, and I continued running ahead of them for a solid 20km increasing my pace by two steps every time I heard their conductor encouraging them “tee… pedi, nngwe… pedi”. An ardent Kaizer Chiefs supporter, running with a huge Kaiser Chiefs flag – he was my secret guide up to Vilakazi Street! The atmosphere at Vilakazi was beyond words. Mascots, pantsula dancers, brass bands, so many supporters – you name it, it was there. Runners stopping to take selfies with their friends and supporters – truth be told, I wouldn’t know how to take a selfie so I just carried on (despite wanting to be part of the fun). I lost a bit momentum at this point and soaked up the feeling before walking to the top of Vilakazi to chase the Kaiser Chiefs flag once again. RELATED: 15 Awesome Instagrams From The Soweto Marathon! By this time, the sun and all its little angles had come closer to Soweto, it felt like it was focusing all its energy on me, it was sweltering hot. I begrudgingly let the sub 4h20 bus pass me, and concentrated on the rest of the race. I eventually caught up with the Kaiser Chiefs flag and looked down, running and walking, like all others, one foot after another. I can do this. The hills were absolutely brutal. Well-wishers and locals kept saying that the FNB was around the corner – hmm I don’t think so. I turned so many corners and never saw any FNB. I learnt not to trust any of the supporters words and looked down as I ran five paces and walked ten. 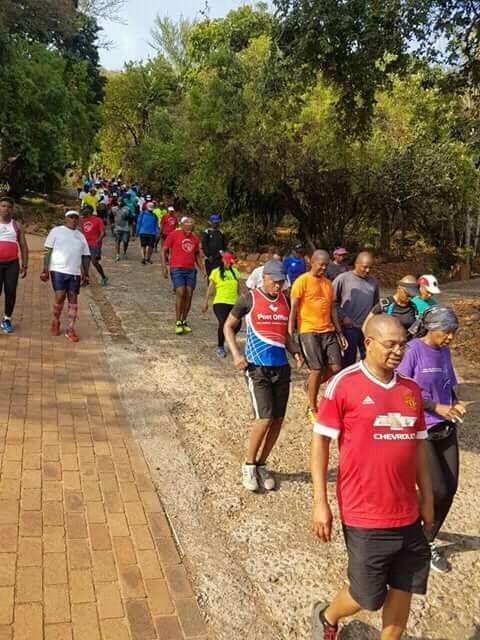 A lady with two red balloons wearing red Fat Cats colours, gave me a fuel injection with some brown bread, and this gave me courage and energy to run all the way, albeit slowly, to the 39km mark. This water point was like seeing heaven. Supporters welcomed me in, the singers encouraged us with their vibey music, and I had a flashback to when I reached Drummond during the Comrades earlier in the year. I can do this! It could have been the purple colours of Hollywood Bets signs, flags, balloons, the noise, just as it was at Drummond, but whatever it was, I got so inspired! I turned right and made my way down the long hill. Slowly but surely approaching another hill that would lead us home – finally. I didn’t stop, I saw the calabash getting bigger as it drew nearer! This time I wasn’t emotional, I was just tired and needed a rest. I ran proudly into the long dark hole that lead the runners to the finishing straight. I did it, I crossed the finish line at 4H43 and received my well-deserved medal (oh, and a box of sponsors’ baby cereal of course). I am grateful to my running club and friends who made our training and this goal so much more fun. My coach, Madoko Ndlovhu, brought the best runner out of me – he turned me from a day-dreamer into the runner that I am today. My Soweto medal is one I will cherish and will sit proudly next to my Comrades medal. Now to find the next iconic race to tick off my bucket list!